Hope you are all ready for The Easter Bunny and his Easter Egg Hunts. The kids have their Easter Break and so I am having some time off from the office so I can spend some quality time with them. I love it when they are at home. Obviously My Miniature World had to take a short break or let's say a few hours less than the normal. I still get to have some time for myself. 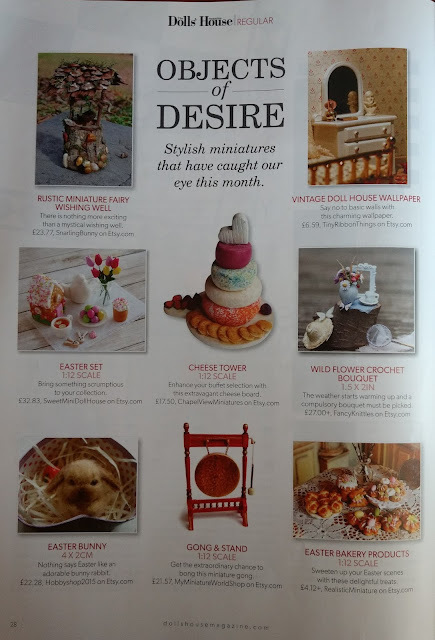 I am pleased that The Dolls' House Magazine featured once again one of my father's hand painted dolls house miniatures on the March 2017 issue. The hand painted detailed Hall Gong is featured in the Objects of Desire section. The Hall Gong & Stand is one of our most popular miniatures with our clients. I have to admit it has been very busy at My Miniature World Shop at etsy. For the past week I have been working on quite a few orders. Last weekend I have been very productive and didn't do much on the Woodcutter's cottage. 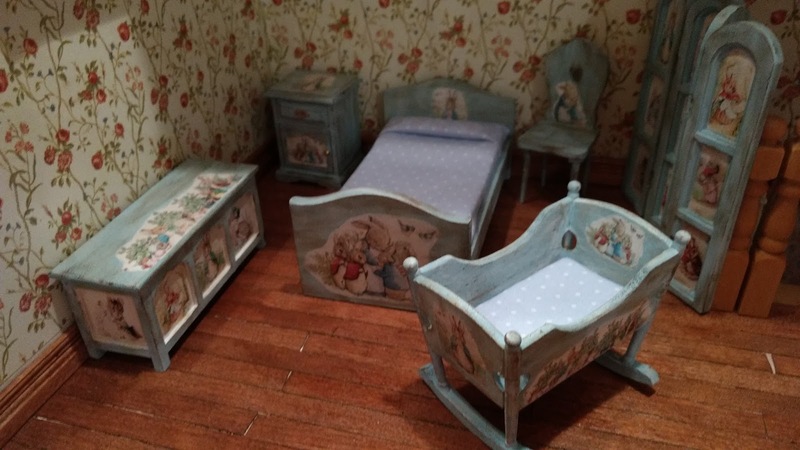 I don't mind it as long as I am working in miniature. At the end of the weekend I was exhausted but very happy. This is what I was up to last Saturday and Sunday. I am thinking of recruiting a miniature assistant to help me out. 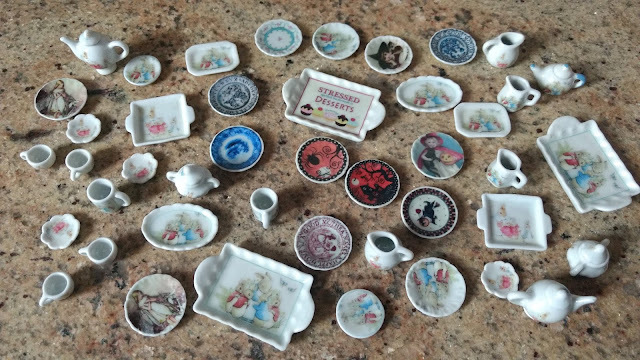 Lots of miniature Ceramics going to their new homes. All ready to be packed to travel a very long distance. At My Miniature World Shop we have some new products that I am sure that you will like to see. 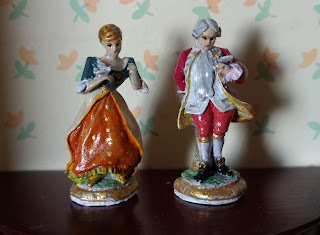 The new hand painted miniatures. The details are amazing. 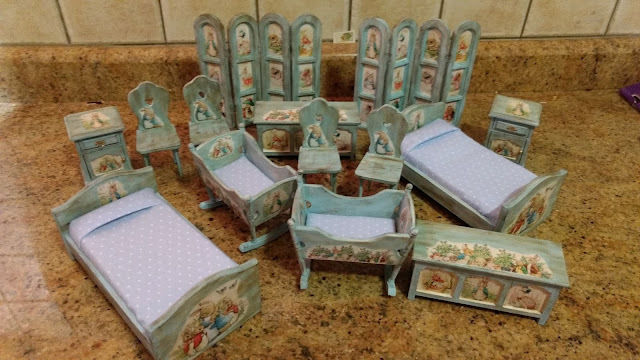 A few new nursery items. 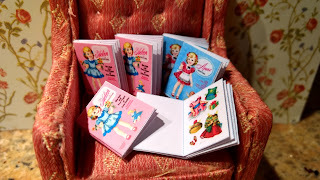 The Peter Rabbit & Friends Toy train, and ready made books with the lovely Vintage Paper Dolls. Also some new furniture pieces that have made quite a hit. 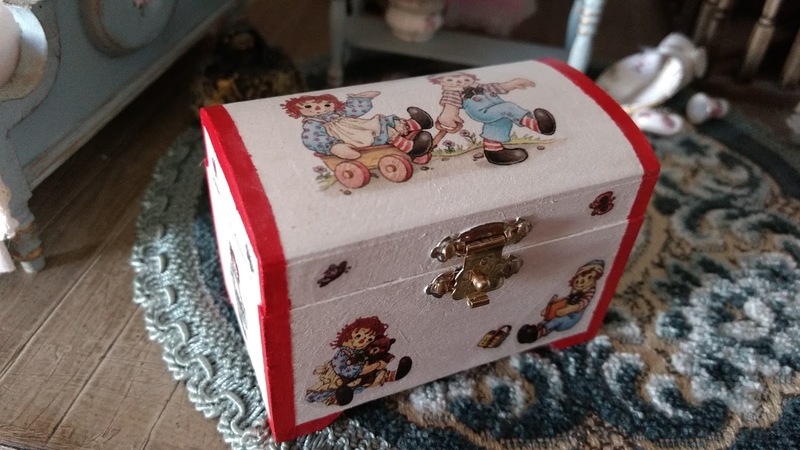 The Raggedy Ann & Andy chest and the new additions to the Peter Rabbit nursery. 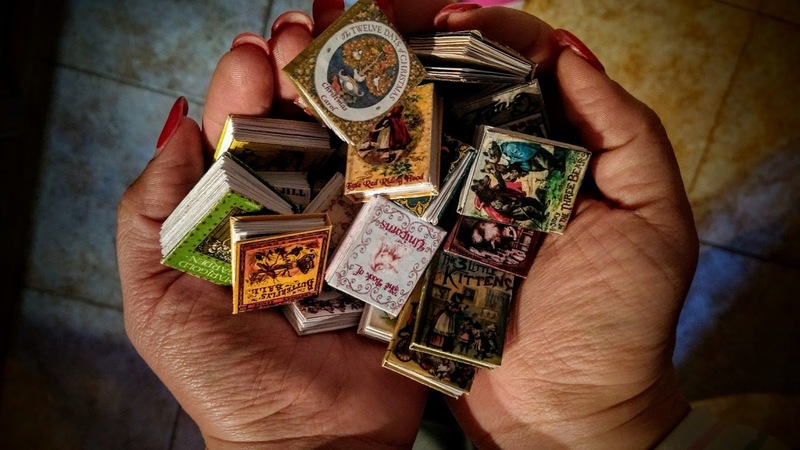 Also lots of new miniature Books. So far I have reached the 80th book in the collection. 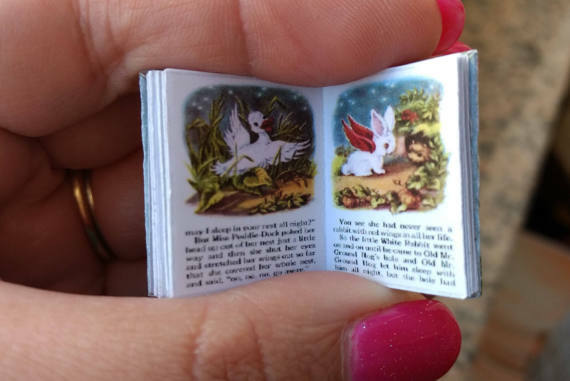 I should really start thinking of making that miniature Library. I have a copy of each book just for myself and it is about time that they should be shelved nicely in their place. There is a weekly new book so look out for them. As I have been having lots of requests, soon I will be introducing the 1:24 scale miniatures. I am looking forward to them and I can't wait to start. It seems that the half scale is becoming very popular. 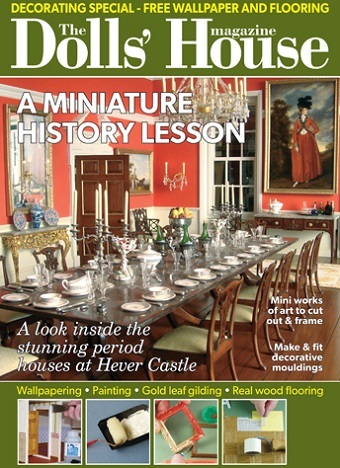 And as promised just before Easter, time for a FREE GIVE AWAY!. 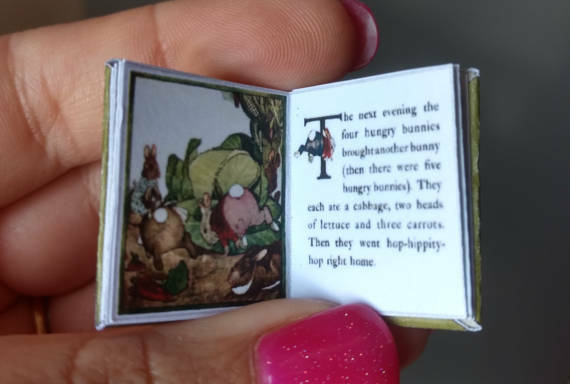 I will be giving out these two miniature book with bunnies. One is called The Little Rabbit who wanted Red Wing and the other is called About Bunnies. Both are full of colorful illustration with a fine print. 3) For those who have Facebook like My Miniature World Page. Closing date will be Saturday, 22nd April 2017. The lucky winner will be announced shortly afterwards. So this is all for today. I am really hoping to post again this Saturday before Easter. So keep tuned for the new update. It all looks great! Thank You for a chance to win your books. Thank you so much and you are so very welcome. Ohhhhh!!!!! Casi no llego a tiempo!!!! Me encantan! Gracias por la oportunidad de participar! Love bunnies and yours are great!! OH I have wanted one of your books FOREVER!!!!! I am unable to pay any longer due to a disability I was hit with! God bless everyone and best of luck to all! This is wonderful, please count me in! This is a wonderful giveaway. Please count me in. Your link will be on my f/b as well as on my blog. Je participe à ce giveaway, bien sûr. 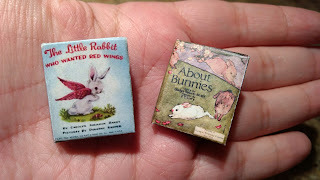 I would so LOVE to get them into my bunny collection! They would be perfect for it - so of course I would LOVE to enter you awesome draw. I love your books. 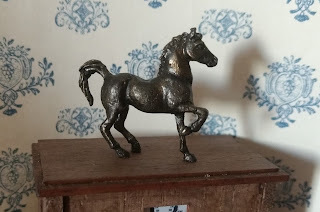 Plesse count me in your fantastic giveaway. Wow, you have been busy!! Much deserved, your minis are beautiful. I also love your books, they are adorable, I have one that I treasure so much, it is delightful, I love it! Happy Easter! Amazing work, love all your pieces. 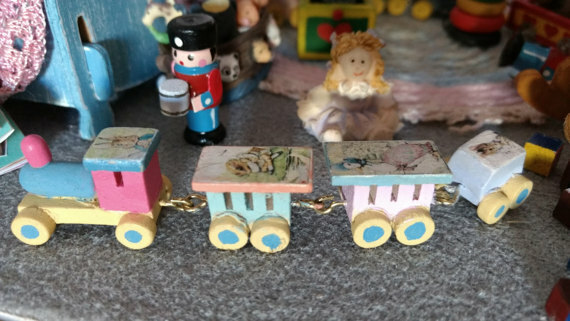 Beautiful giveaway. Please count me in. Those are all great new pieces. And that's a wonderful giveaway. Please count me in! And hope you had a wonderful Easter! PS I am so sad that the Dolls House Magazine ceased publication. I am also a bit in shock. I thought it was a great magazine. And I love your father's gong! I am not sure if that the Dolls House Magazine ceased publication. It is still running and it seems that a new publication is about to come out. Sounds like you had a very busy time getting all those orders ready. :) Please count me in for the giveaway. I would love to win a couple of your books. They look great!